OK, so Valentine’s Day is behind us, (thank goodness!) and spring and Easter are right around the corner. 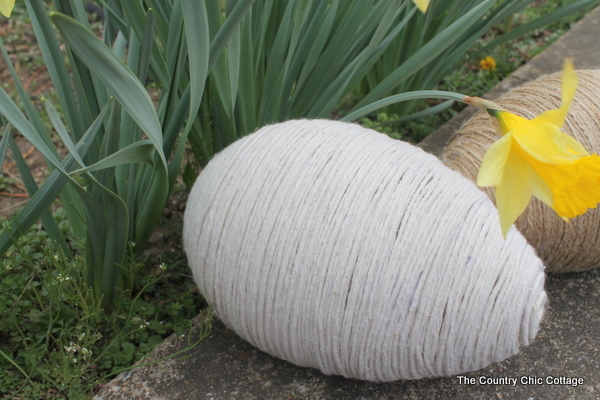 My friend Angie from The Country Chic Cottage is here to share a fun and timely project with us: Twine wrapped Easter eggs. Hello all! I am Angie with The Country Chic Cottage and I am honored to be guest posting for Viv today. She is awesome isn’t she? 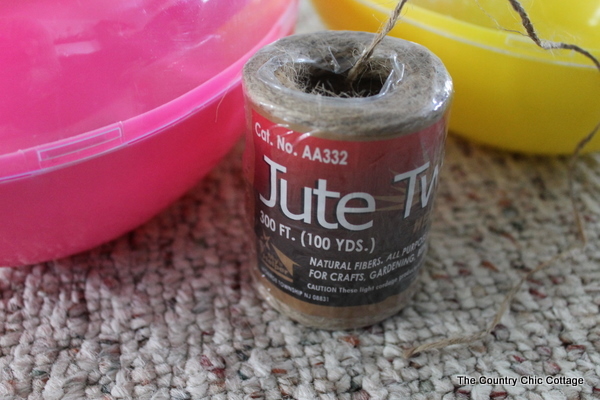 I am going to show off a little Easter craft today. Do y’all realize that Easter is the end of March this year? Yep it is time to get crafting cause it will be here before you know it. 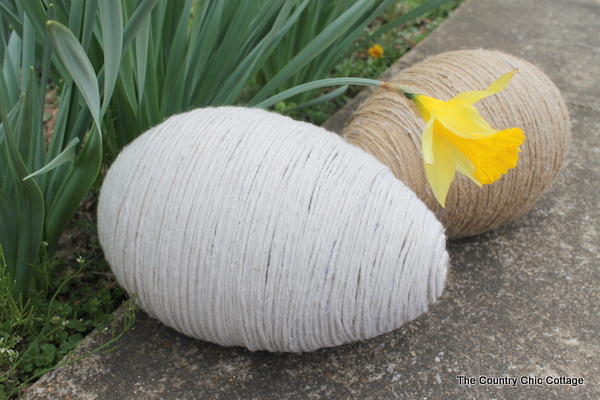 I took some large eggs I found at the Dollar Tree and wrapped them in twine for a classic look that you will love. 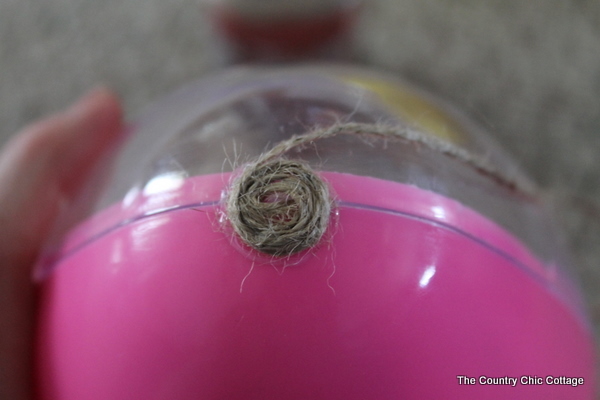 Then I used some jute twine on one and on the other I used baker’s twine. Both of these I found at the dollar store also. 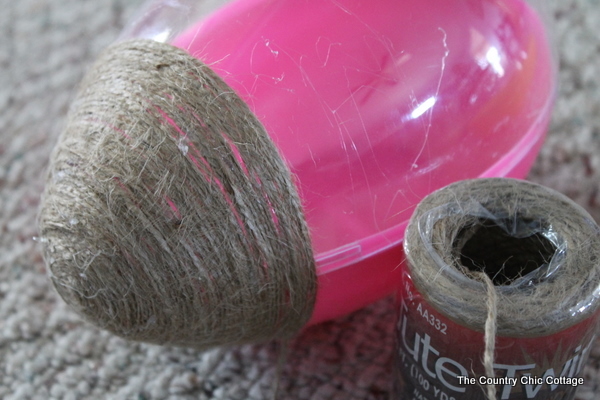 But after two times around…they were perfect…..
Each egg take almost a full roll of twine. 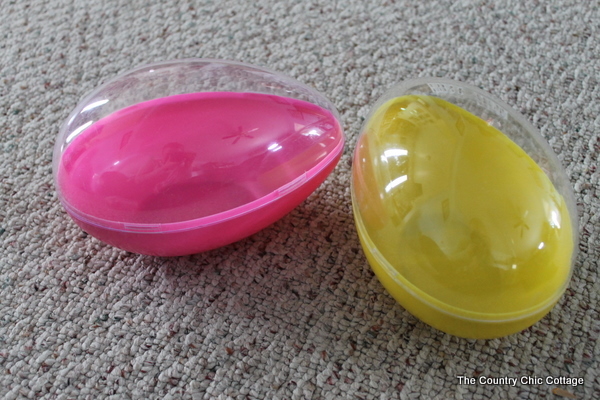 So each one costs $2…not bad for some shabby, country, farmhouse Easter decor. I hope y’all enjoyed these wrapped eggs and will make some of your own. Thanks again Viv for having me. Y’all stop by the cottage anytime and be sure to follow in twitter, facebook, or Pinterest to keep up with all of my projects! Thanks, Angie! Those are so cute! If you haven’t been to Angie’s blog yet, here are a few things that you should definitely check out: Her tips about deep cleaning her home with less than 30 minutes a week are very clever. It even comes with a free printable. I love this spring wreath that she made out of coffee filters, and I LOVE this Hunger Games inspired artwork. I am a sucker for anything on recycled barn wood! By the way, Angie also has a super cute etsy shop and you should definitely give that a look-see! Love this idea!!!! These are so adorable!!!! These are super cute Angie! 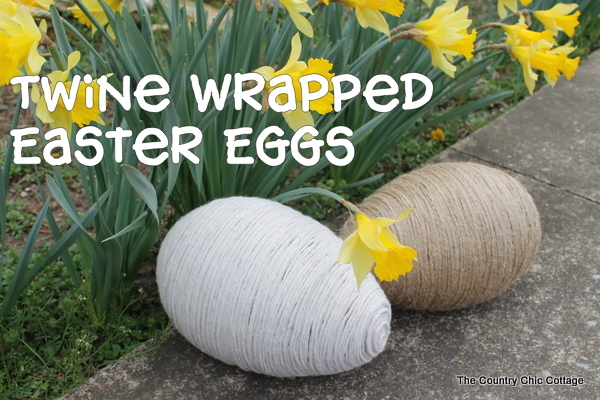 What a great idea Angie, and I love the “natural” look of the twine, as the eggs can be displayed in your decor beyond the Easter season! All for only $2 each? Awesome!